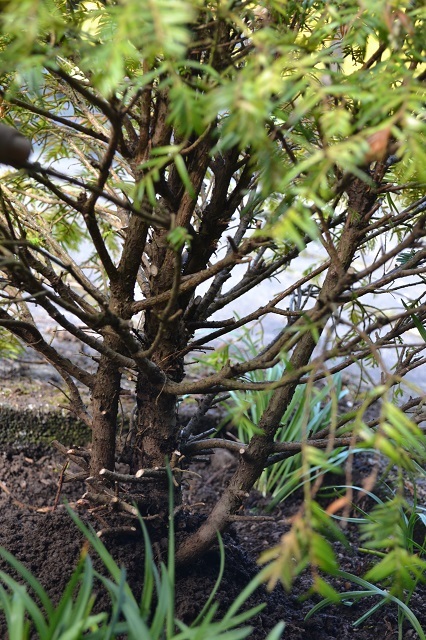 Some pictures showing the five year development of an English Yew (Taxus Baccata) in the ground. 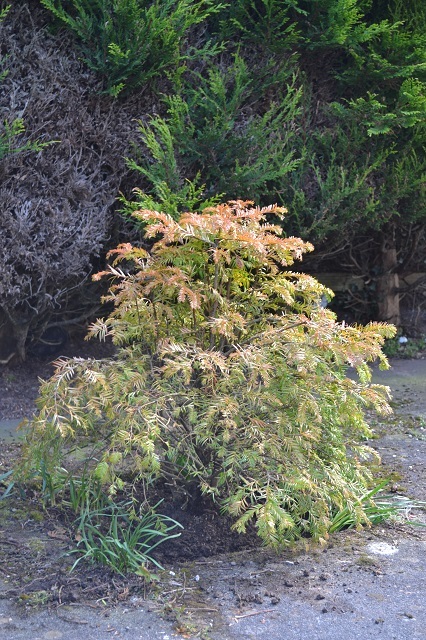 Oct 2012 – the Yew on the right was sick and subsequently died. I think weevils were responsible. After five years in the ground being fed strongly and pruning upper branches, I’m very happy with what I revealed when I dug it up yesterday. This was the first time I’ve had a proper look at the roots. The rootball was compact due to being planted on a tile and the first thing was to find out what the nebari was like so I scraped away soil from the surface first. 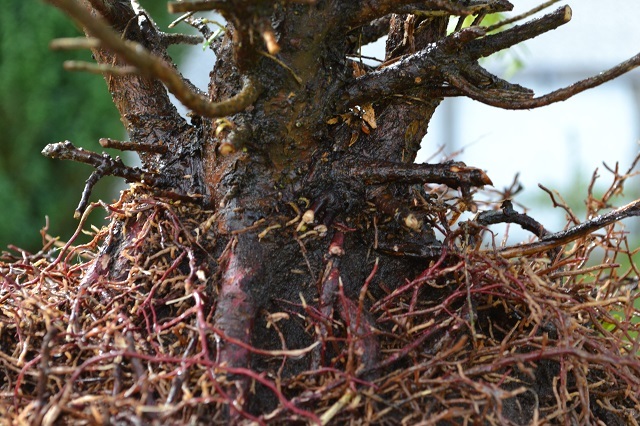 Heavy and awkward roots were pruned. The base of the trunk does flare and isn’t the prettiest but I believe that’s not so important for a conifer. Side 2 – wider after a 90 degree turn. Better. Side 4. Wider again. The chosen front. None of the views were great but the last one chosen as the best. 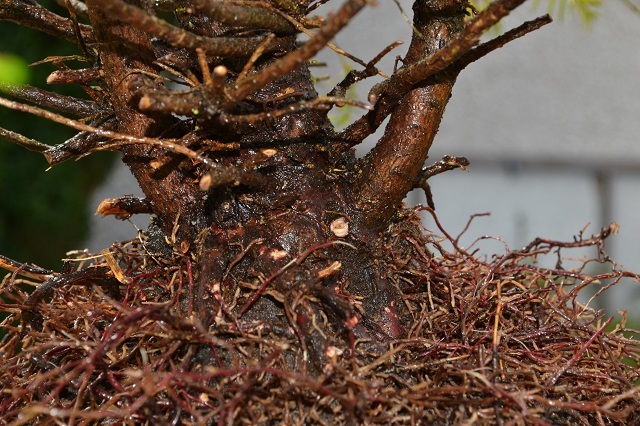 Then I pruned branches accordingly to influence future development as bonsai. It was pretty congested in places and relatively easy to decide what should go. Evidence of backbudding was good. I’m happy with the potential this has as a future formal upright bonsai tree. I gave it quite a harsh rootpruning as there were a lot of vertical and crossing thick roots. Better to sort out those faults now than later. Because of this I decided to put it back in the ground to recover better for a year. If all is well I’ll be able to lift in 2017 with minimal root disturbance and start training in a box/pot. 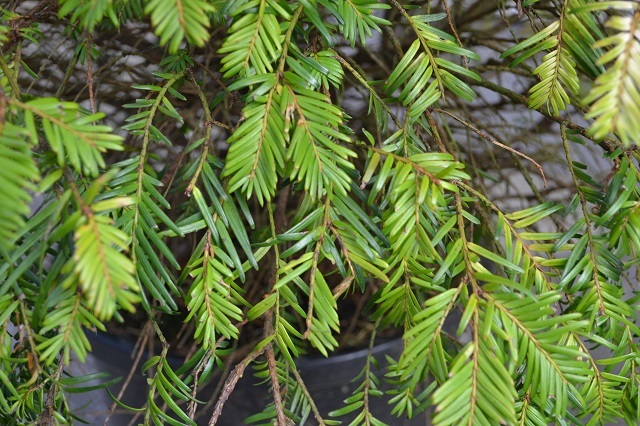 I finally got round to looking at this sickly cheap yew mentioned here recently. 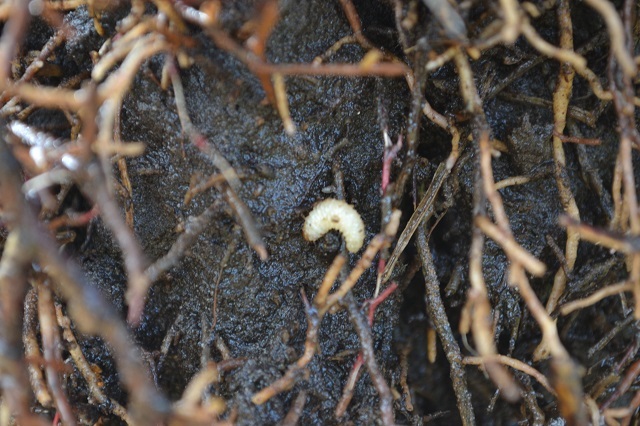 A lot of these critters found – vine weevil larvae I assume? Best side for the front. All dead growth removed and a lot more light gets in. Most of the foliage removed from the bottom quarter. You can see the trunks now. A twin trunk possibility in future? After trimming of the thickest/longest roots, it has a new home for at least a year until vigour returns. Fingers crossed. £10? Yew must be joking. Either this was a bargain or else I’m sure some folk may think it was overpriced for what appears to be a sickly shrub. 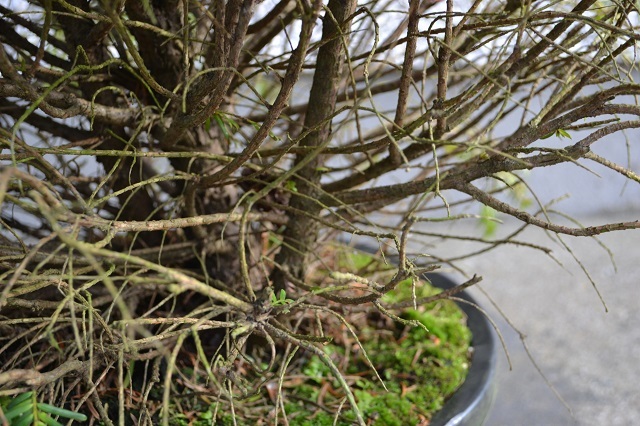 I was out with my family at a garden centre celebrating some Easter activities but as always I was also on the lookout for anything unusual/cheap that could be used for bonsai purposes. 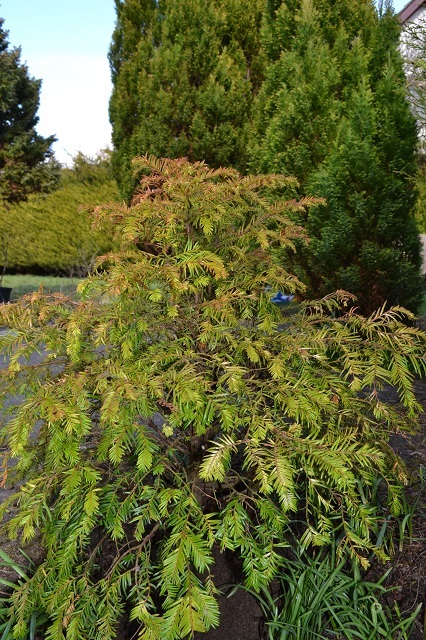 This 80cm tall tree was the only one of its kind in a corner of a display bed and disguised behind some magnolias. No information on it at all just a small sticker saying ‘special offer £9.99’. Now, material like this would usually cost 5-10 times as much depending on where you can find it. 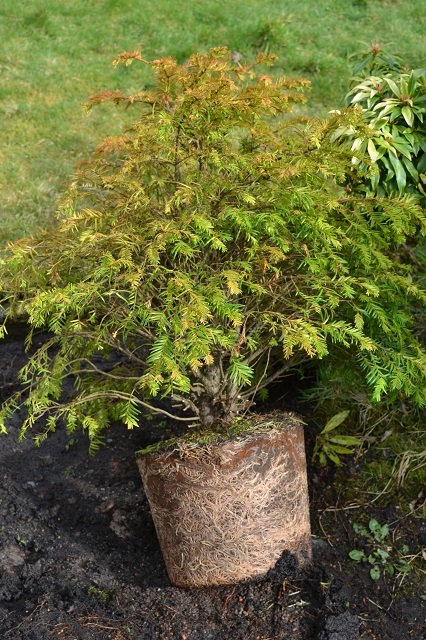 I’ve rarely come across Yews for sale at this size and definitely not this cheap! 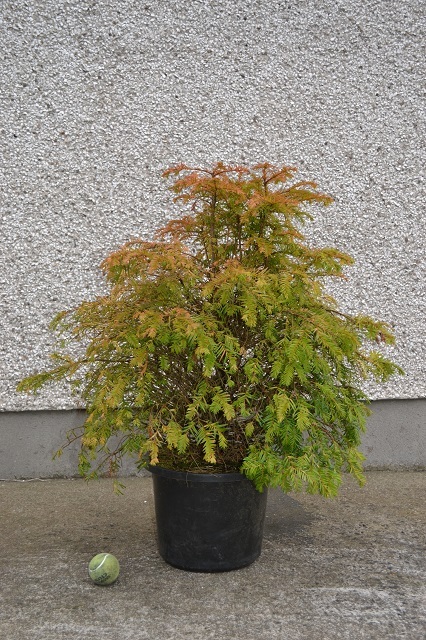 The discoloured foliage appears to the only reason for its low price – no apparent signs of fungal/pest problems and when I upturned the pot, there were no roots protruding. Couldn’t pass it up! Relatively healthy foliage on one side that was facing outwards, receiving more light. Discoloured and sparser foliage on the other side that was facing the back of the display and perhaps has not received adequate light for a long time? 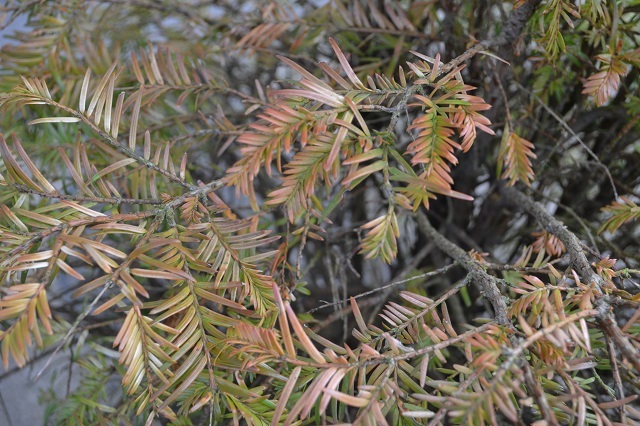 Discoloured apex – is exposure to winter frost responsible? 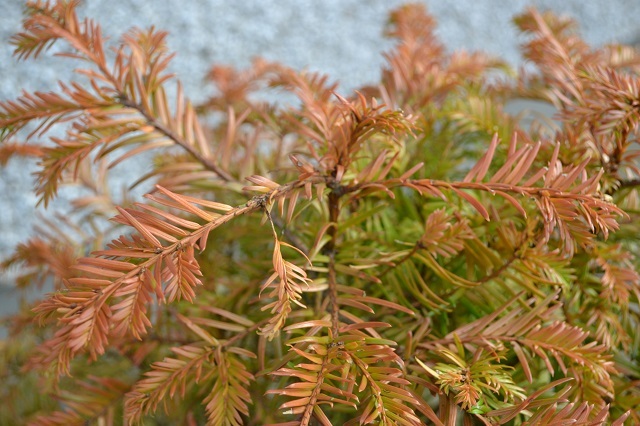 I have a healthy yew growing the garden already and am used to some discoloration over the colder months so I am not too concerned about the lack of health at the moment. Maybe I’ll know better when I inspect the roots shortly. It’s difficult to see clearly but there are three main trunks that are pretty straight. One is considerably thicker than the other two. Not much foliage in the interior so this is definitely a long term project that will involve a lot of regrowing. If it turns out to be a minger of a tree, at least it’ll be material that I can practise deadwood and wiring techniques on. To start with though, tomorrow, I’ll inspect the roots, improve the drainage and thin out dead branches. If I do no work on the roots, I’ll feed it immediately. Either way I’ll shelter it from the wind for a while yet and make sure there’s enough sunlight and water to help it recover. If anyone has any advice or suggestions, It would be great to hear from you.